C. Kenneth Waters received his PhD in History and Philosophy of Science from Indiana University (1985). He has taught at John Carroll University, Rice University, and the University of Minnesota. He currently holds the Canada Research Chair (Tier 1) in Logic and Philosophy of Science at the University of Calgary. 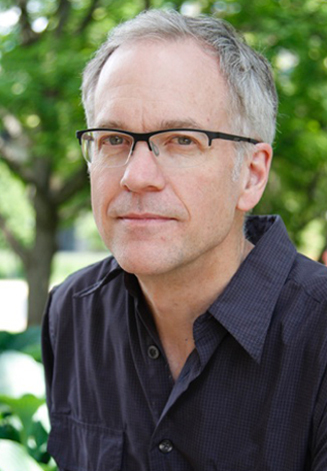 He served as Director of the Minnesota Center for Philosophy of Science (1996 – 2014) and is President of the Philosophy of Science Association (2015 – 2016). He has received numerous grants from the National Science Foundation and is currently co-principal investigator of a grant from the Templeton Foundation. I grew up in Vermont, a small state in the northeast corner of the United States. I enjoyed hiking and camping in the Green Mountains, sailing and canoeing on the state’s small lakes, and downhill skiing on the slopes of Mt. Ascutney. I also engaged in leftist leaning politics and experimented with states of consciousness. After high school, I moved to Vermont’s biggest city, Burlington (population, 38,000), to attend the University of Vermont. I planned to study biology, with the intention of becoming a veterinarian. I knew this would require leaving Vermont to attend veterinary school, but I planned to return to the Green Mountains to treat pets and farm animals after graduation. In my first semester at UVM, I discovered the world of science. I completed the undergraduate curriculum quickly, and started taking graduate level courses. Soon, I dropped the idea of becoming a veterinarian and decided to become a research scientist. I wanted to investigate how organisms work. This led me to pursue three majors at once (biology, biochemistry, and chemistry). But what I learned in my courses and from working in research labs with graduate students and postdocs led me to strange and puzzling questions, questions that no one else seemed to be asking. I found these questions so intriguing and so important that I felt driven to pursue them. These questions led me into philosophy and continue to drive much of my research today.